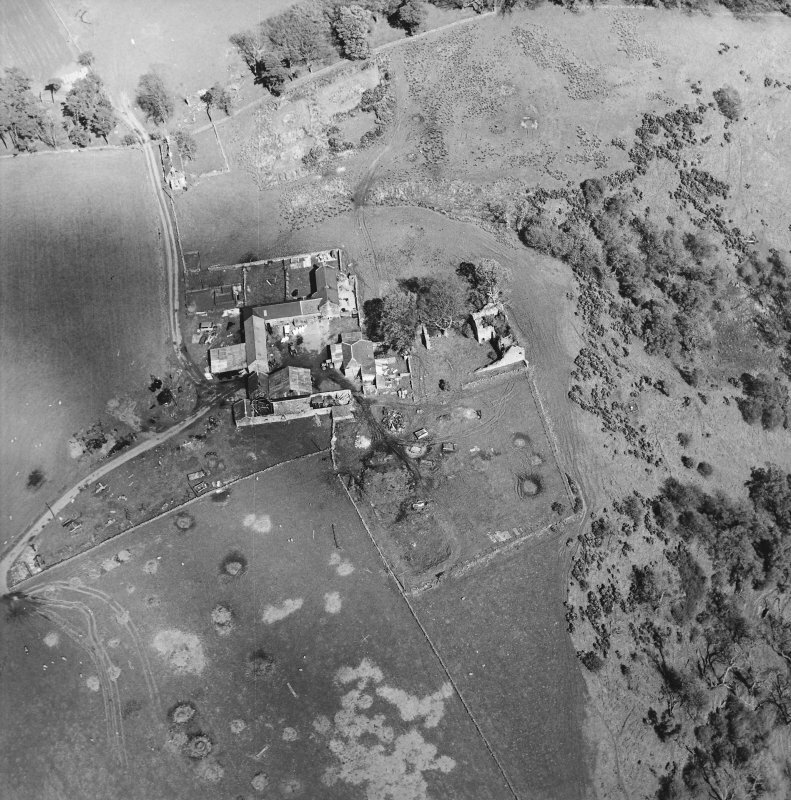 Oblique aerial view centred on the remains of the castle with the remains of the fish ponds, farmhouse and farmsteading adjacent, taken from the WSW. 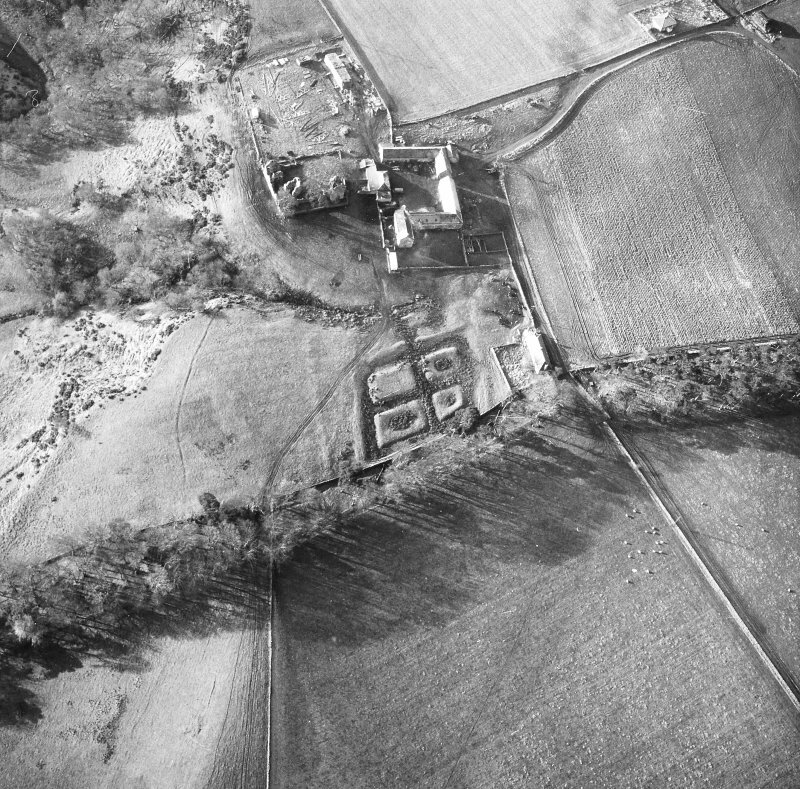 Oblique aerial view centred on the remains of the castle with the remains of the fish ponds, farmhouse and farmsteading adjacent, taken from the W.
Oblique aerial view of Brunston Castle, looking W.
Oblique aerial view of Brunston Castle, looking NNE. 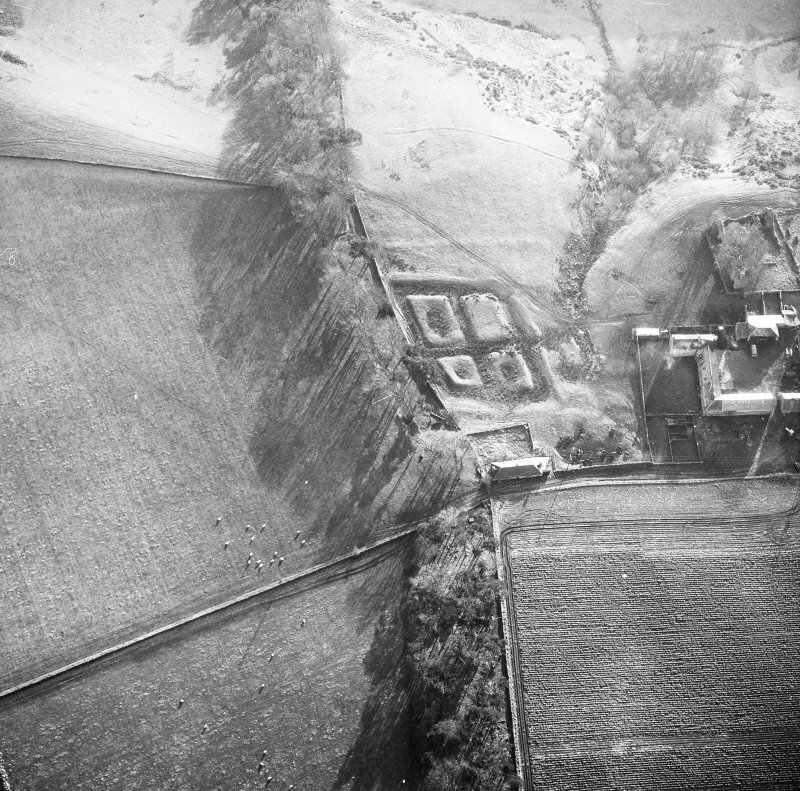 Oblique aerial view centred on the remains of Brunston castle with the remains of the fish ponds, farmhouse and farmsteading adjacent, taken from the NW. 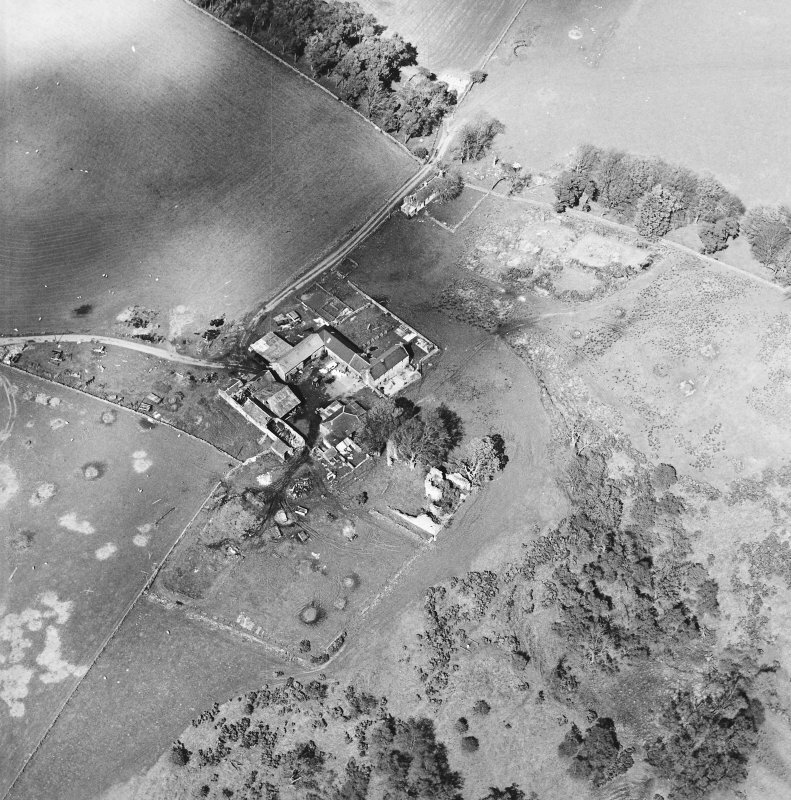 Oblique aerial view of Brunston Castle and Brunston Farm, looking NW. 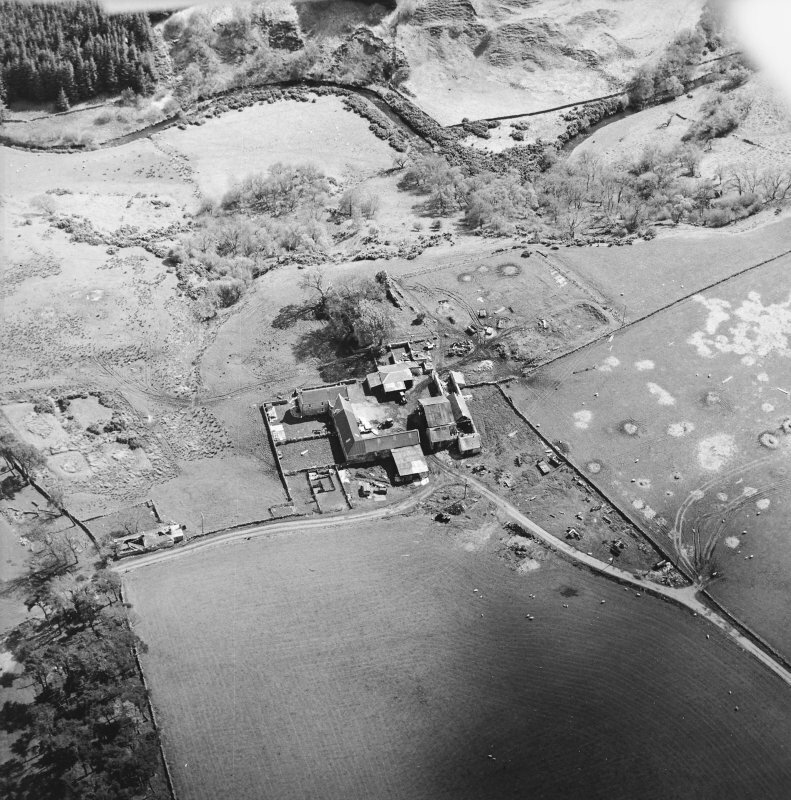 Oblique aerial view centred on the remains of the castle with the remains of the fish ponds, farmhouse and farmsteading adjacent, taken from the SE. 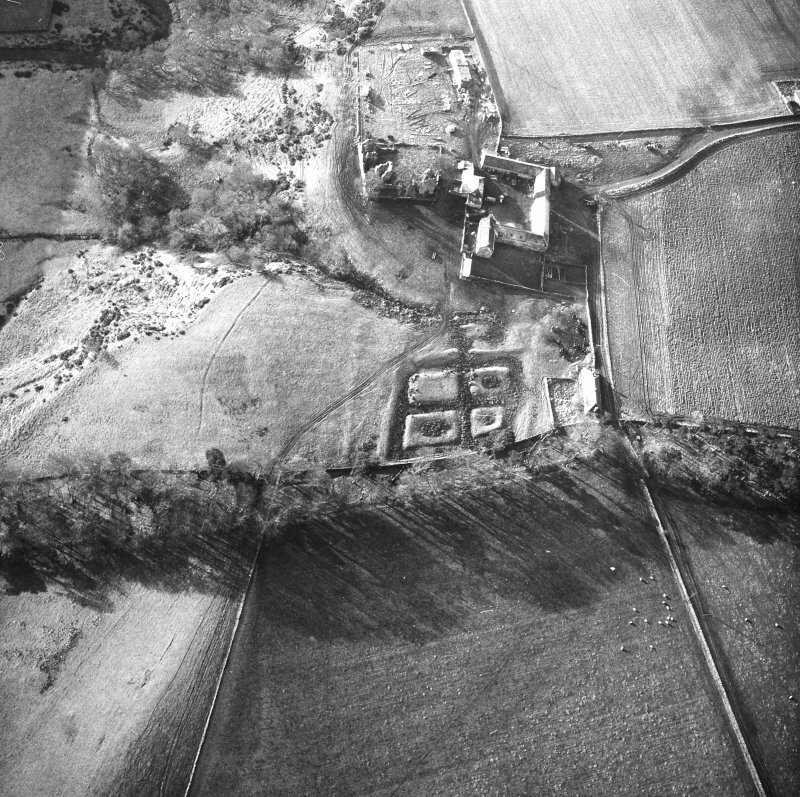 Oblique aerial view centred on the remains of the castle with the remains of the fish ponds, farmhouse and farmsteading adjacent, taken from the E.
Oblique aerial view centred on the remains of the castle with the remains of the fish ponds, farmhouse and farmsteading adjacent, taken from the NW. 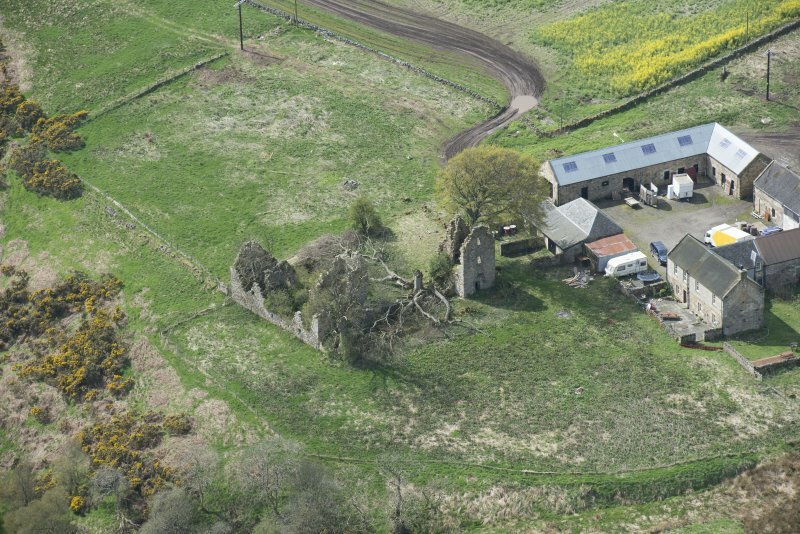 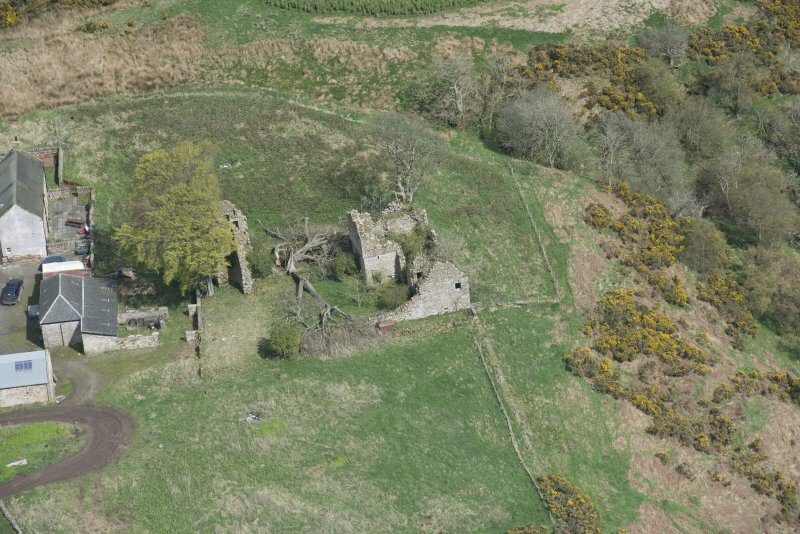 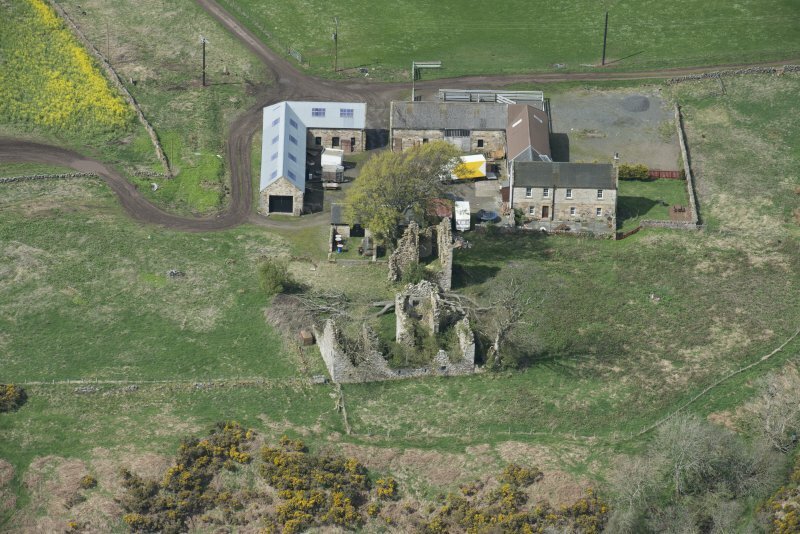 Oblique aerial view of Brunston Castle, looking WNW. 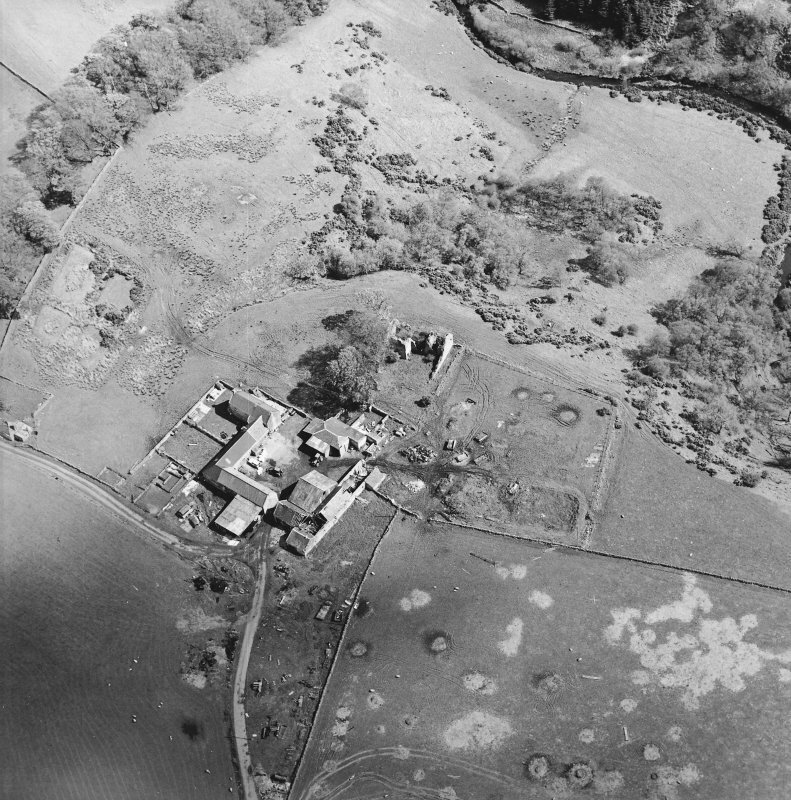 Oblique aerial view of Brunston Castle, looking WSW. 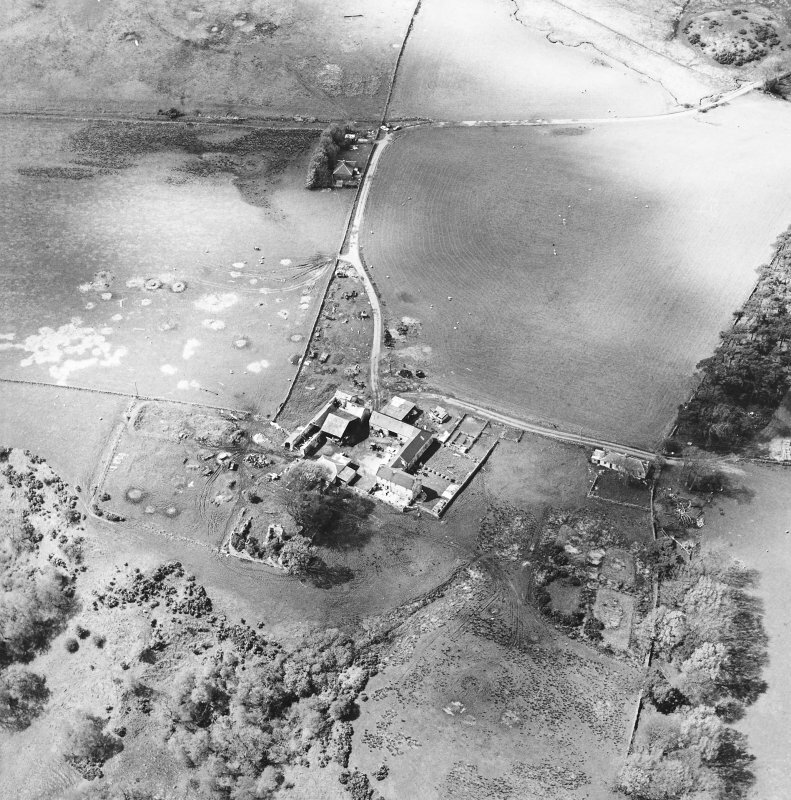 Oblique aerial view of Brunston Castle and Brunston Farm, looking NNW. 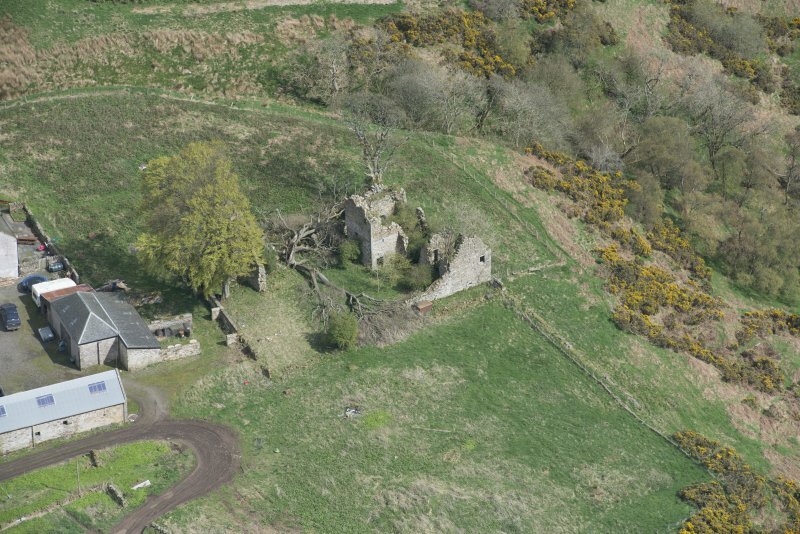 Oblique aerial view centred on the remains of the castle with the remains of the fish ponds, farmhouse and farmsteading adjacent, taken from the SSE. 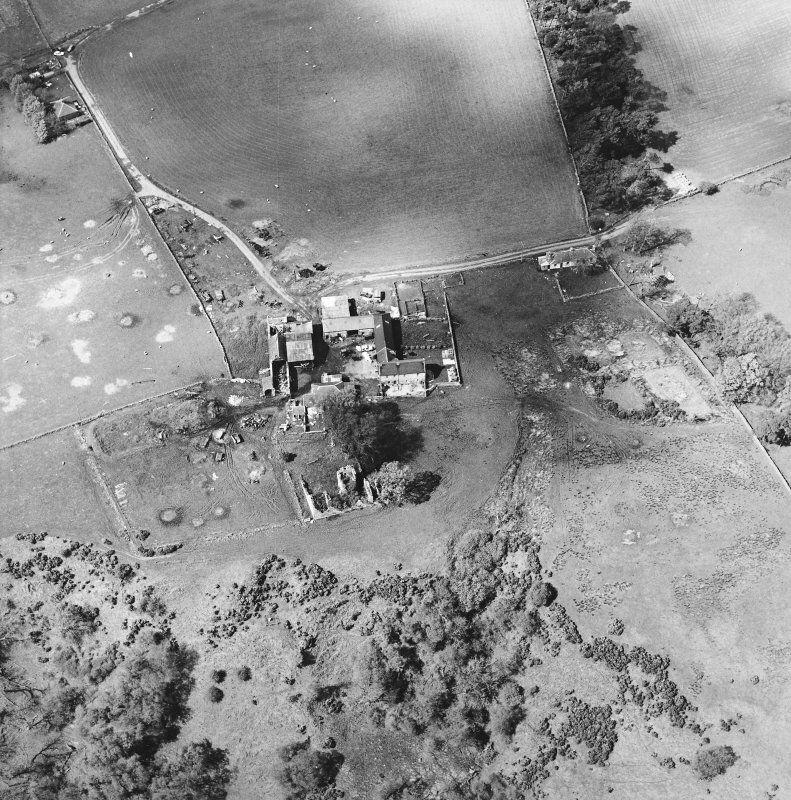 Oblique aerial view of Brunston Castle, looking N.
Oblique aerial view of Brunston Castle, looking NE. 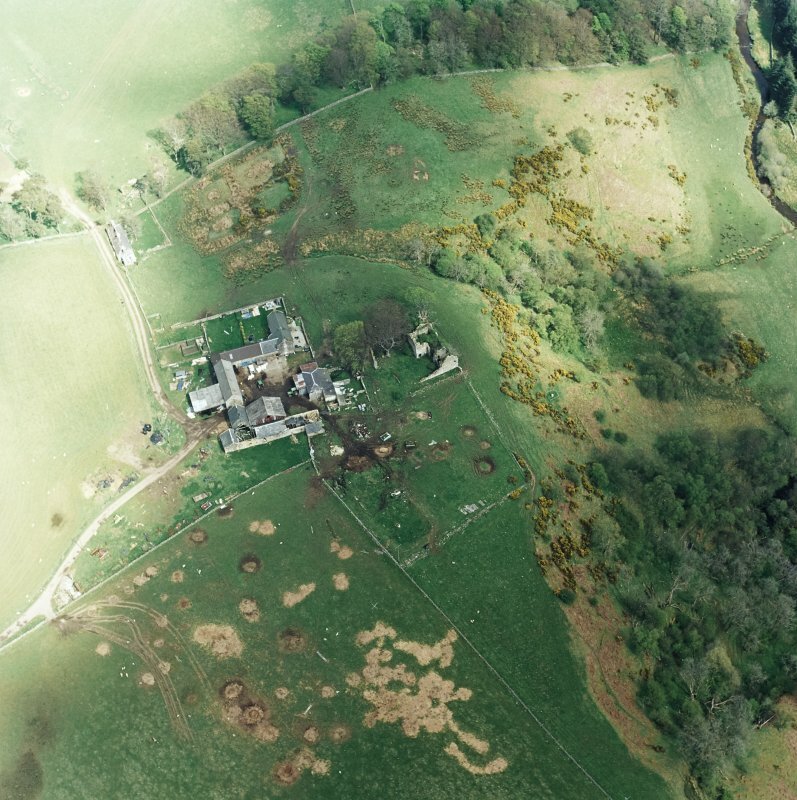 Oblique aerial view centred on the remains of the castle with the remains of the fish ponds, farmhouse and farmsteading adjacent, taken from the SSW. 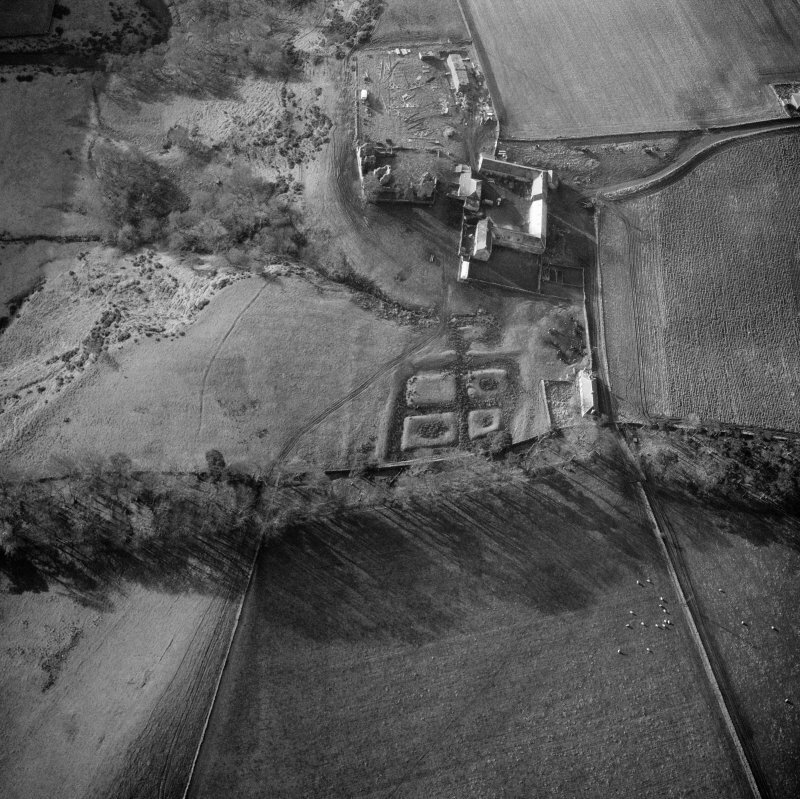 Oblique aerial view centred on the remains of the castle with the remains of the fish ponds, farmhouse and farmsteading adjacent, taken from the NNW. 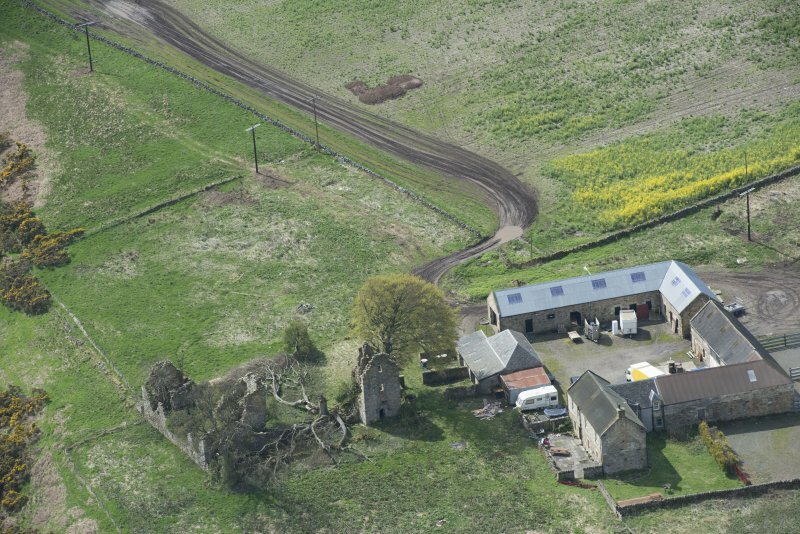 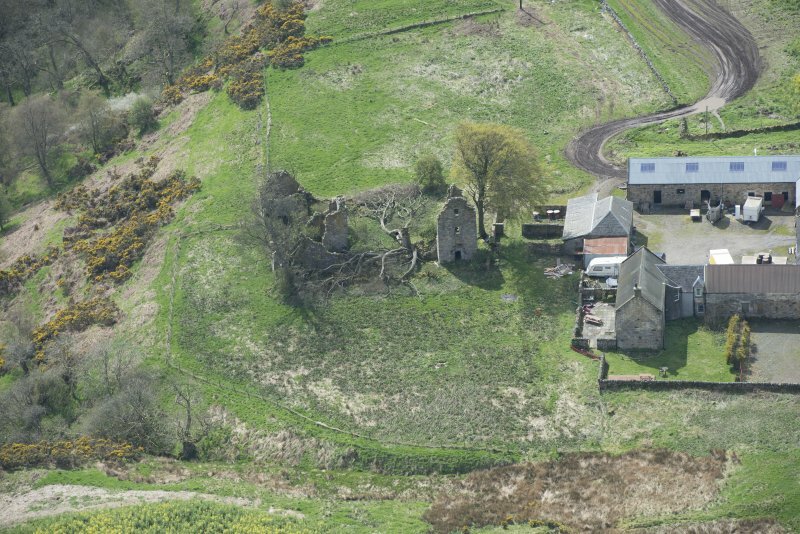 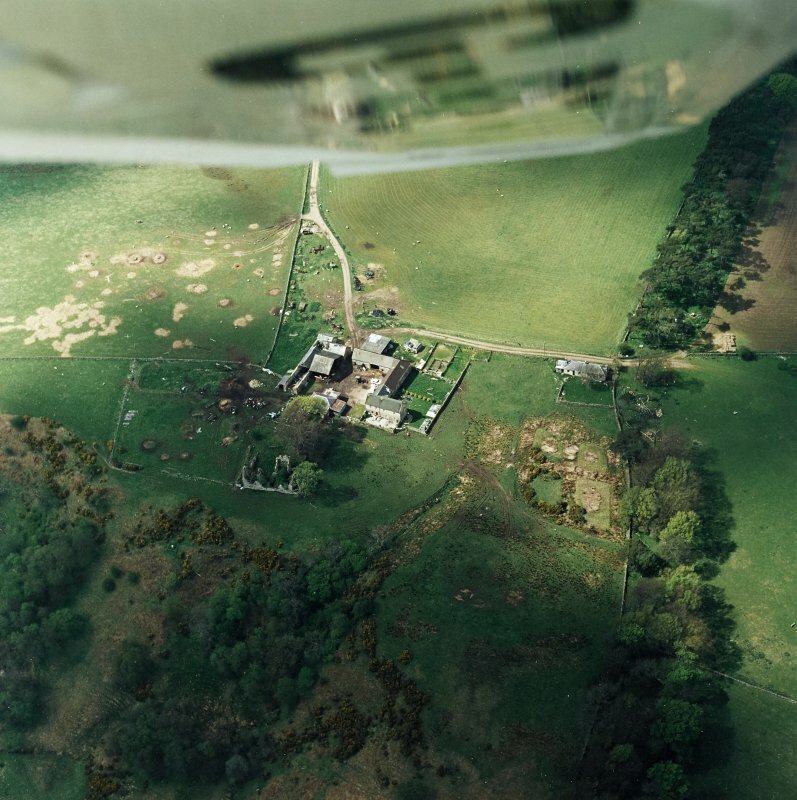 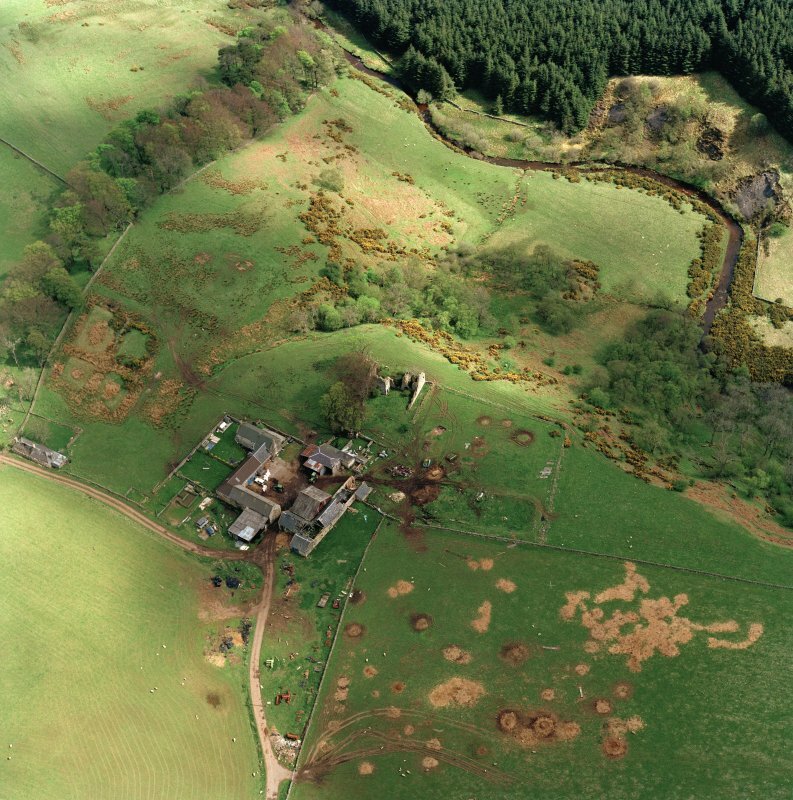 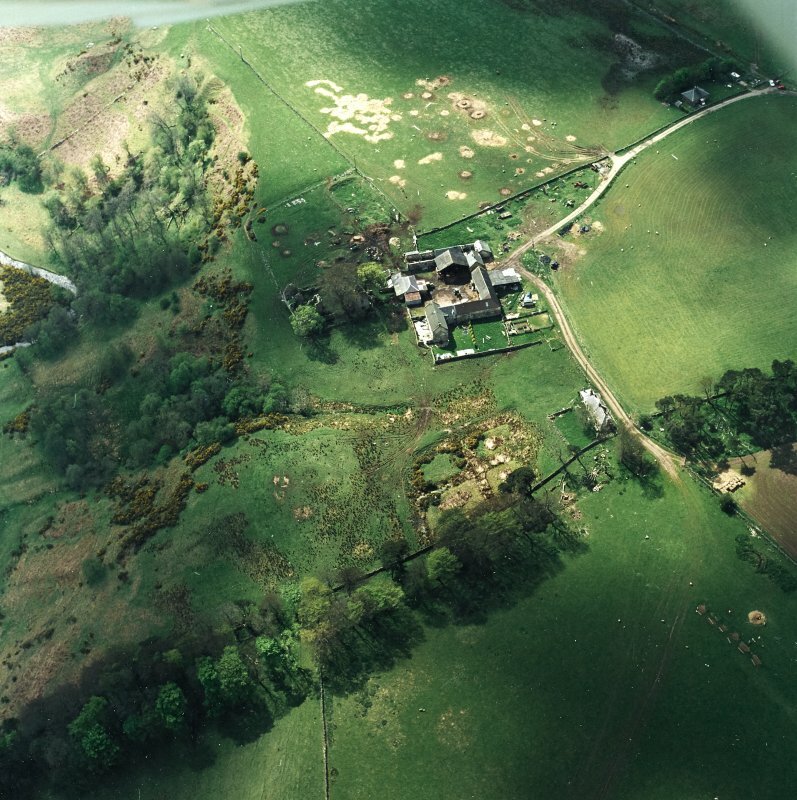 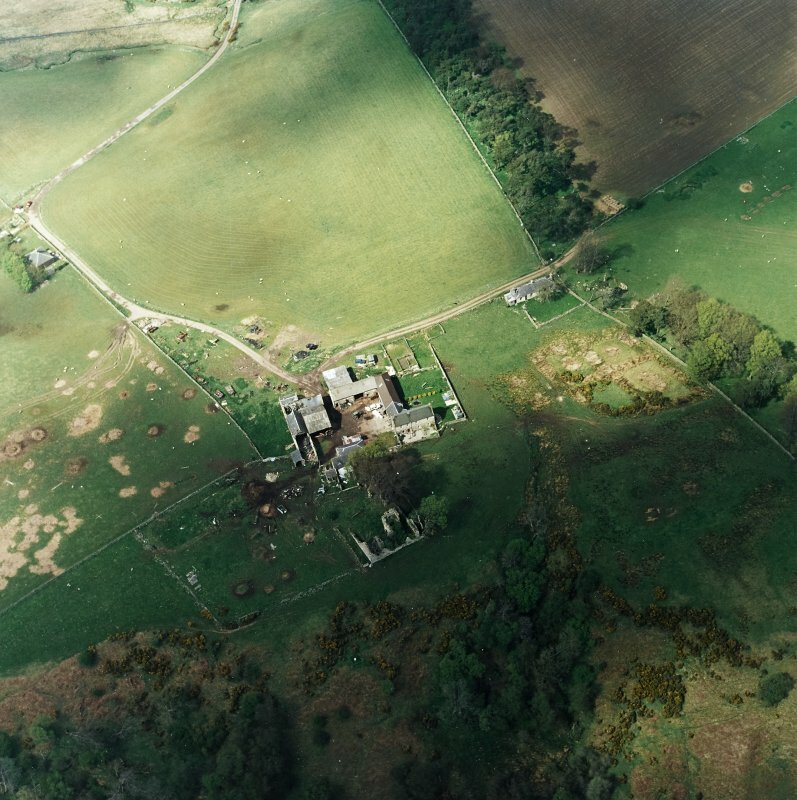 Oblique aerial view centred on the remains of Brunston castle with the remains of the fish ponds, farmhouse and farmsteading adjacent, taken from the W.
Not to be confused with Edinburgh, Brunstane House (NT 3176 7240), for which see NT37SW 80.00. 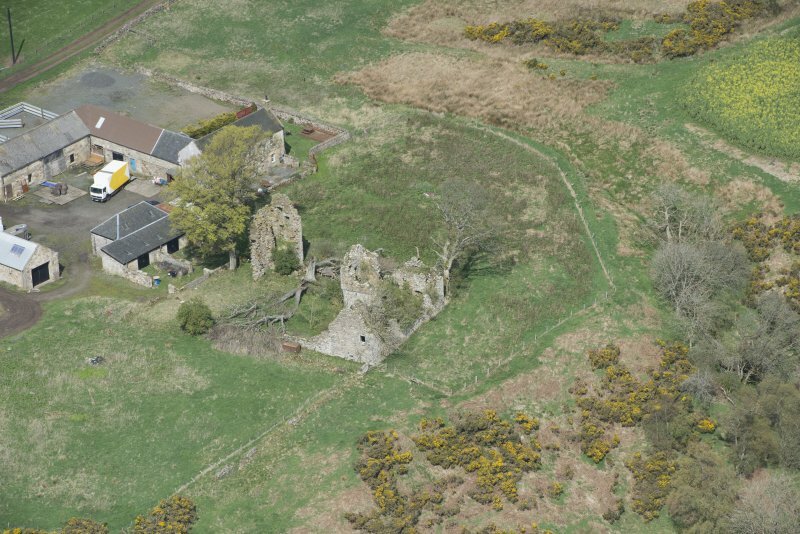 Brunstane (SDD List 1964) Brunston (RCAHMS 1929, visited 1920) Castle, now very dilapidated, was built on a courtyard plan in the 16th century. 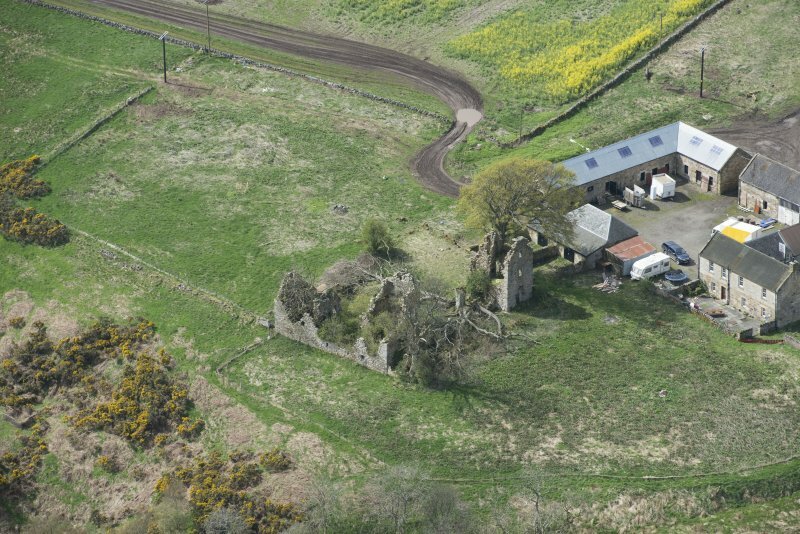 It comprises an oblong enclosure, 86' NW - SE by 64 1/2', with a dwelling-house on the SE side and a projecting square tower at the N angle. 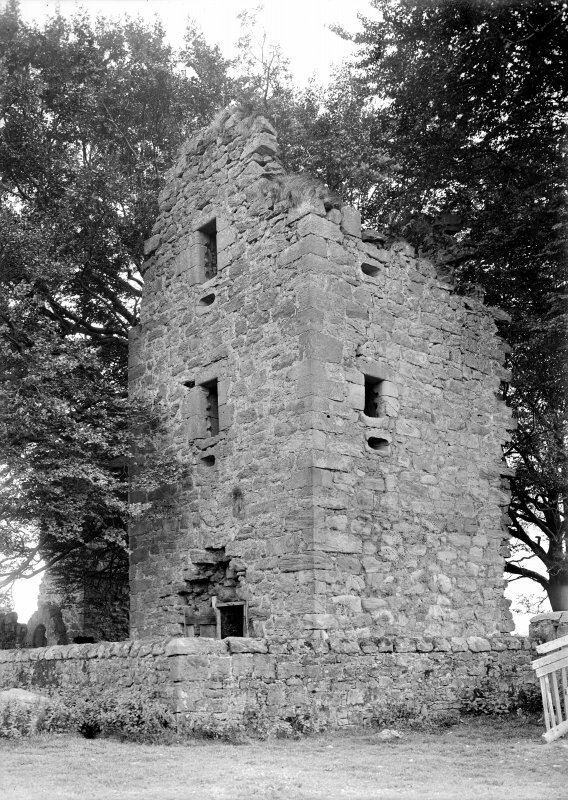 Both were originally of two storeys and a garret. 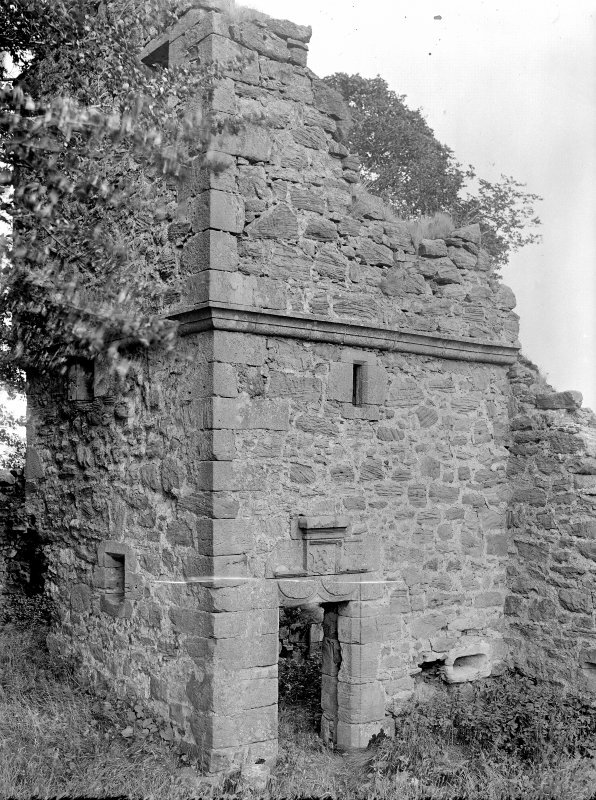 The date 1568 is cut above the lintel over the entrance to the house. 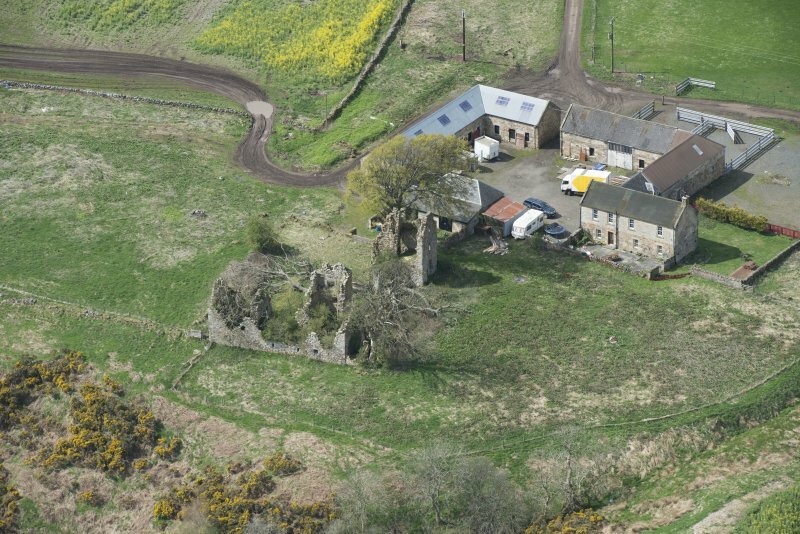 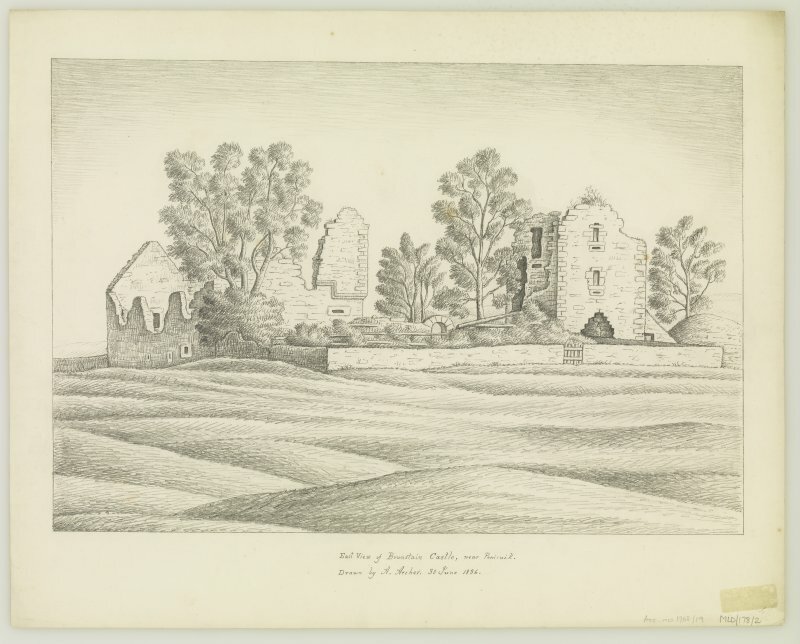 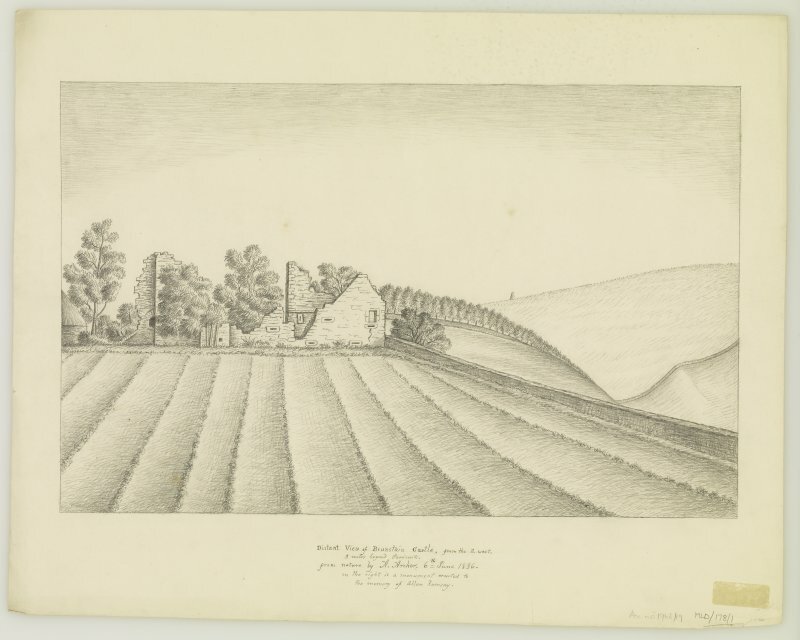 Wilson notes that the castle was still surrounded by a deep ditch at the beginning of the 19th century, while Bell records that the castle was burnt to the ground by the English under Lord Grey (in 1547), and rebuilt in 1568. 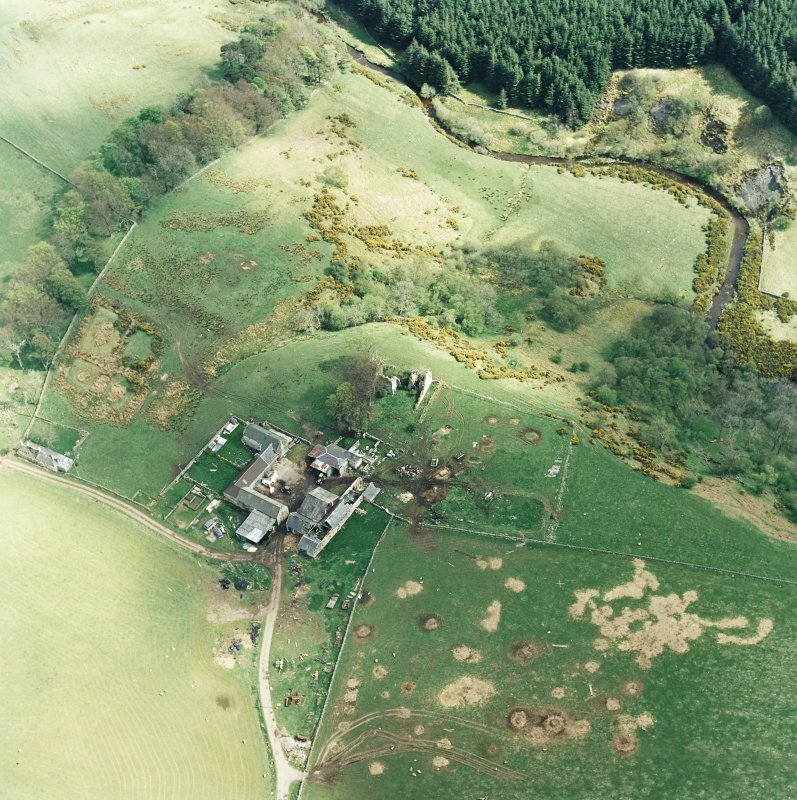 A succession of Crichtons lived at "Burnstoun" from 1498 to 1542. 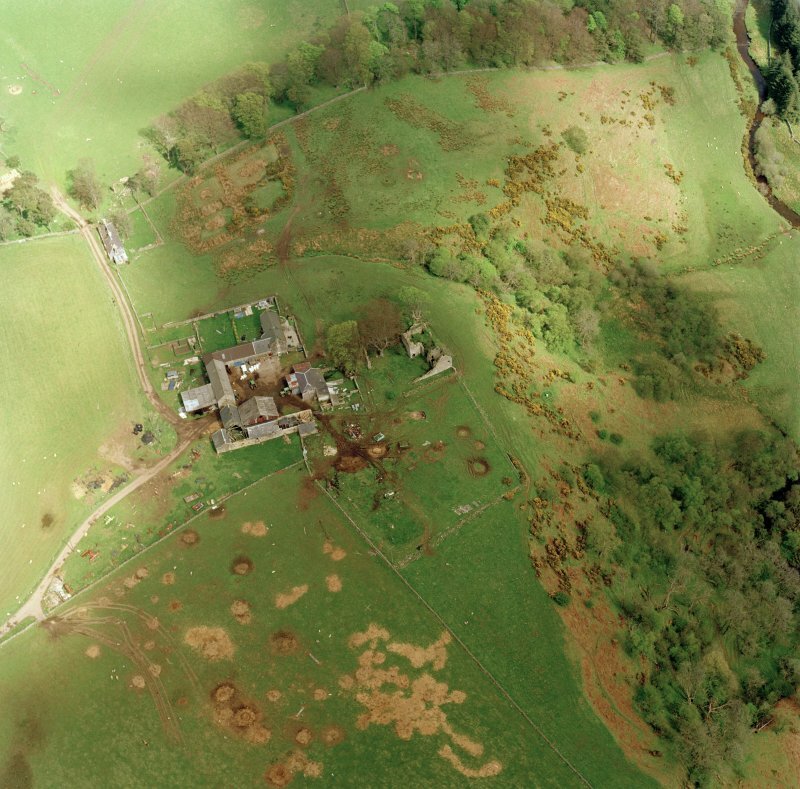 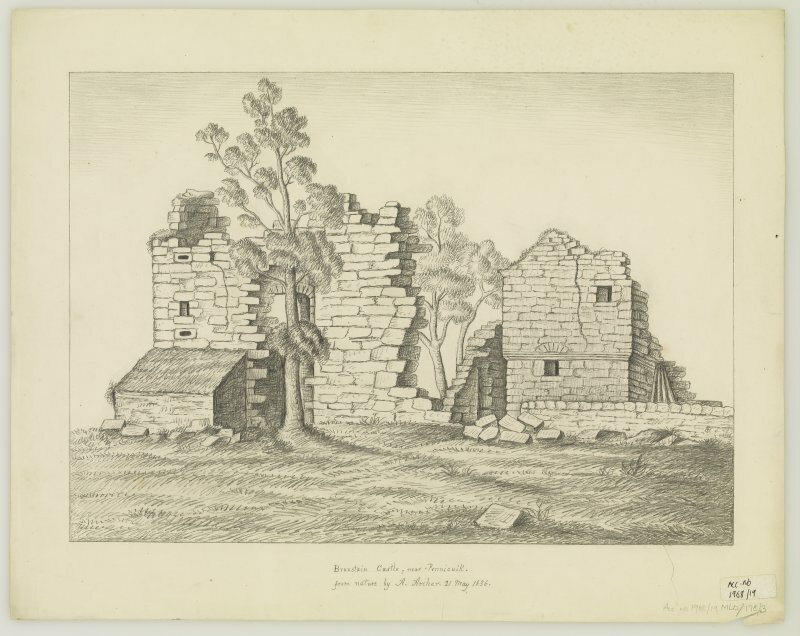 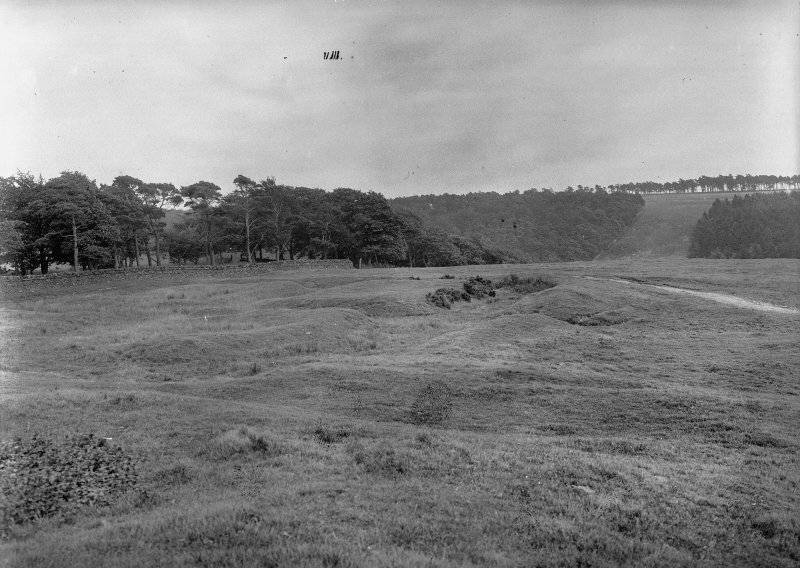 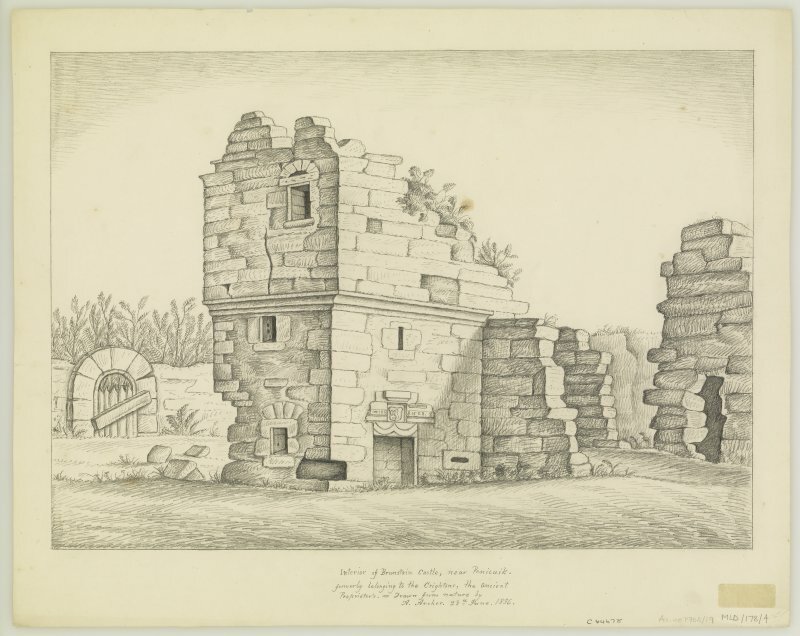 The remains of Brunston Castle are as described by previous authority. 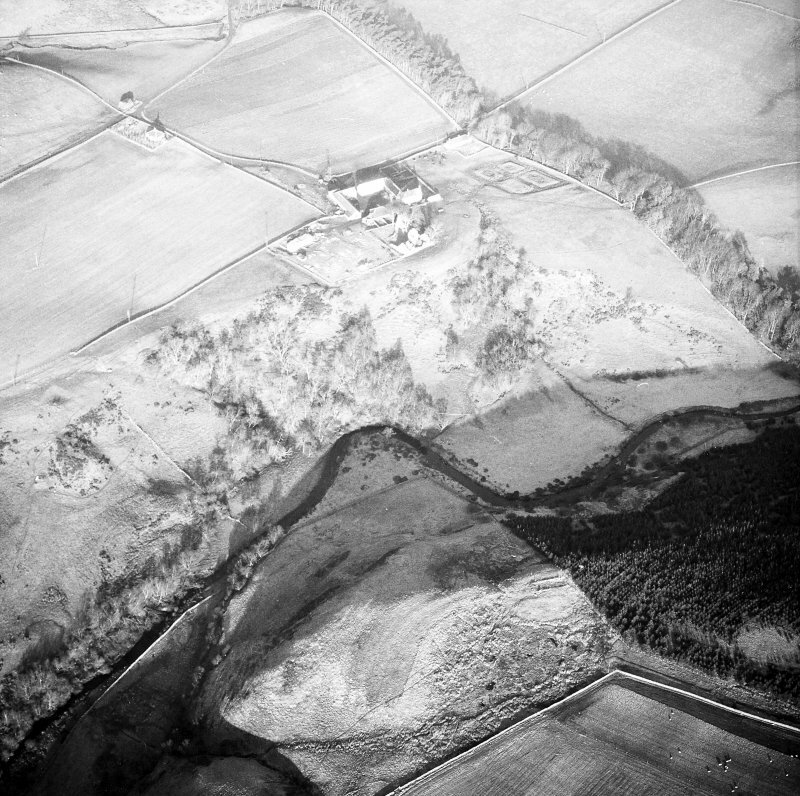 Visited by OS (BS) 4 November 1975.